“Art is something we can’t express with words,” says Takashi Kudo. But then the words start pouring forth, and for most of the next hour, he talks quickly, excitedly, passionately about teamLab, the Tokyo-based art collective of which he’s one of the key members. “One of the key members” is an incredibly vague description−the kind of thing that a writer usually writes only when they forgot to ask a question that they should have been asking. But for teamLab it seems appropriate. Takashi Kudo is one of teamLab’s key members. And it seems as though everybody, everywhere, all the time is talking about teamLab, at least in Tokyo. Their two installations, teamLab Borderless and teamLab Planets, opened in the middle of last year near central Tokyo and have been a massive success. Borderless alone drew more than one million visitors over the course of just its first five months, and even now the lines snake out of the building, down the block, and around the corner by lunch time on most days. Surprisingly, though, he’s not really one of them. At university he studied philosophy and literature, not physics or robotics. After graduating and toiling in corporate Japan for a year, he fled, spending the next six years travelling the world. He eventually settled in Stockholm, where for more than four years he worked as a magazine editor. Now in his early forties, he has been in teamLab for almost a decade, helping to articulate the collective’s message. 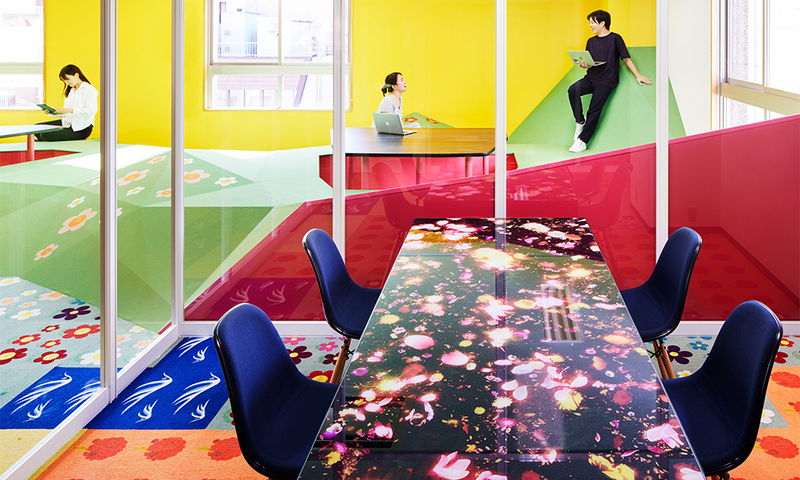 At teamLab’s offices in Tokyo, the meeting room is as colourful as some of their installations. teamLab: Dance! Art Exhibition, Learn & Play! Future Park is a large-scale exhibition. What both installations share is the immersive aspect; you’re not just looking at two-dimensional artworks on the wall in front of you, but rather you’re surrounded in what seems like four dimensions. Visitors can interact with the art, changing the colours in a room full of hanging LED strips, for example, by sending commands from your smartphone. Try doing that with the Mona Lisa. 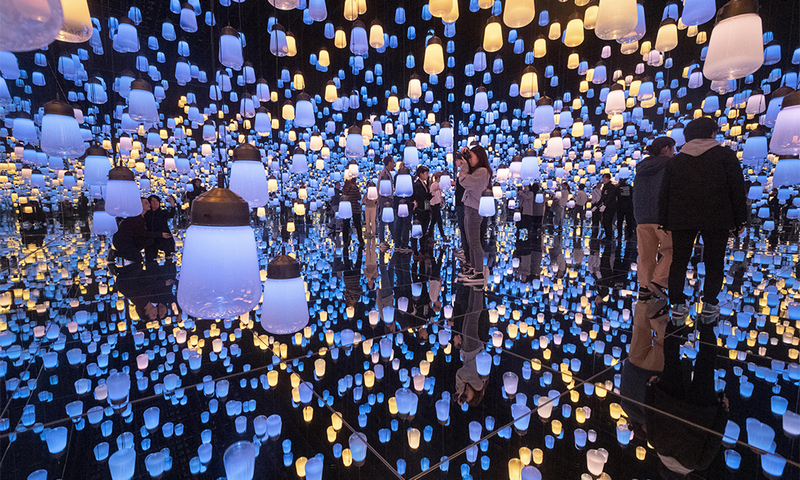 The bottom line is that teamLab’s installations are some of the trippiest experiences you can have in Tokyo these days, and it’s fun to think about what other envelopes the group will be able to push in the years ahead. But don’t ask Takashi Kudo where teamLab will be in ten years. Locations Besides Tokyo, teamLab has mounted installations in such cities as Beijing, Singapore, New York, and even Helsinki. Surprise Borderless is powered by 520 computers and includes 470 digital projectors.